My 3-year-old son and I were lucky enough to visit the pop-up interactive art experience at the Color Factory earlier this week. The biggest and yellowest ball pit I’ve ever seen at the Color Factory. We had a really great time. 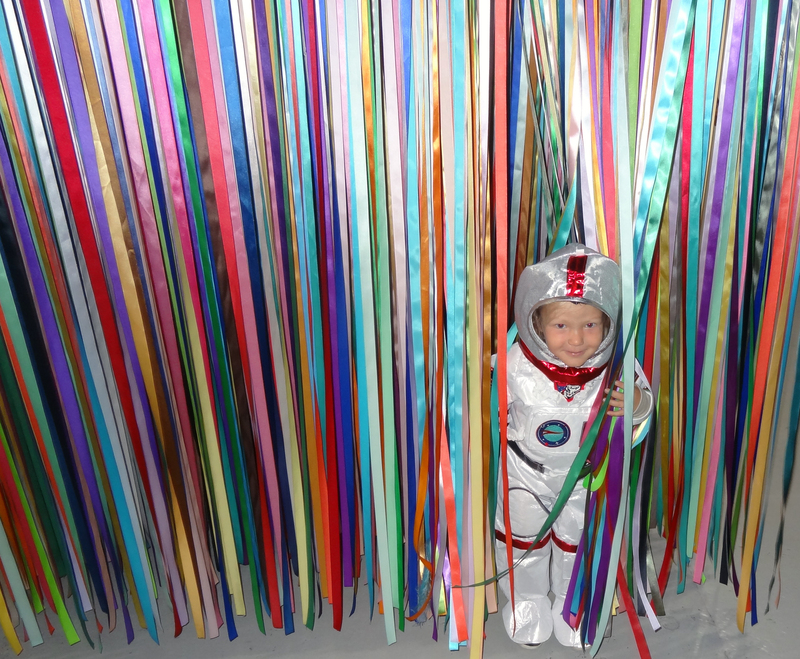 And as you can see, my darling boy is rather obsessed with his newest costume acquisition – spaceman! Which turned out to be the perfect outfit for the colorful space. The experience pulls together interactive art and fun installations exploring color – from a scratch-and-sniff wall that would thrill Willy Wonka to a balloon room that felt altogether otherworldly. The space is very well-curated and HUGE, plus entrance to the space is limited/timed so it isn’t crowded and you really have the time to soak it all in. Black and white and cute all-over. While there’s nothing mind-bendingly “artsy” about the installations, they were very fun to explore, and I saw a lot of laughing/giggling and play happening in the more interactive rooms – which is often missing from more serious art exhibitions. And at least as far as my toddler is concerned, a better experience (Later that night, he said to me “I thought you said it was going to have art mama!”). The space is an Intagramers dream. Lots of colorful nooks and bright color pops. I watched groups of ladies posing, snapping, and smiling (perhaps counting the likes they’d rack up later?). The show was extended for another month, although tickets are already sold out for all of September. I’d recommend keeping an eye on their website – just in case there’s another extension!